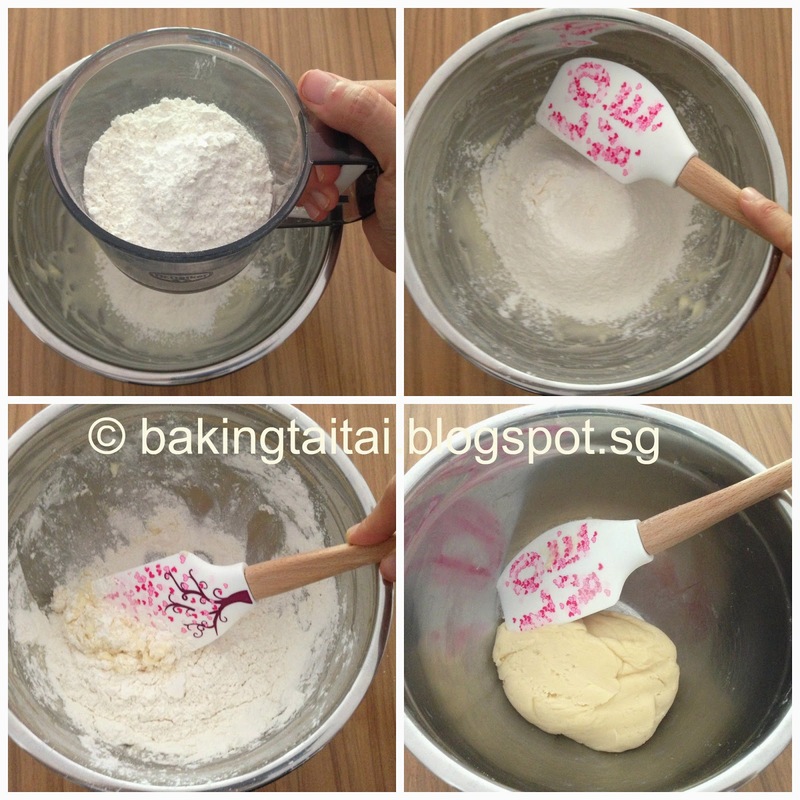 Two weeks ago, my blogger friend, Fion invited me to join in the fun of posting Valentine's cookie together with a few other bloggers on Valentine's Day. 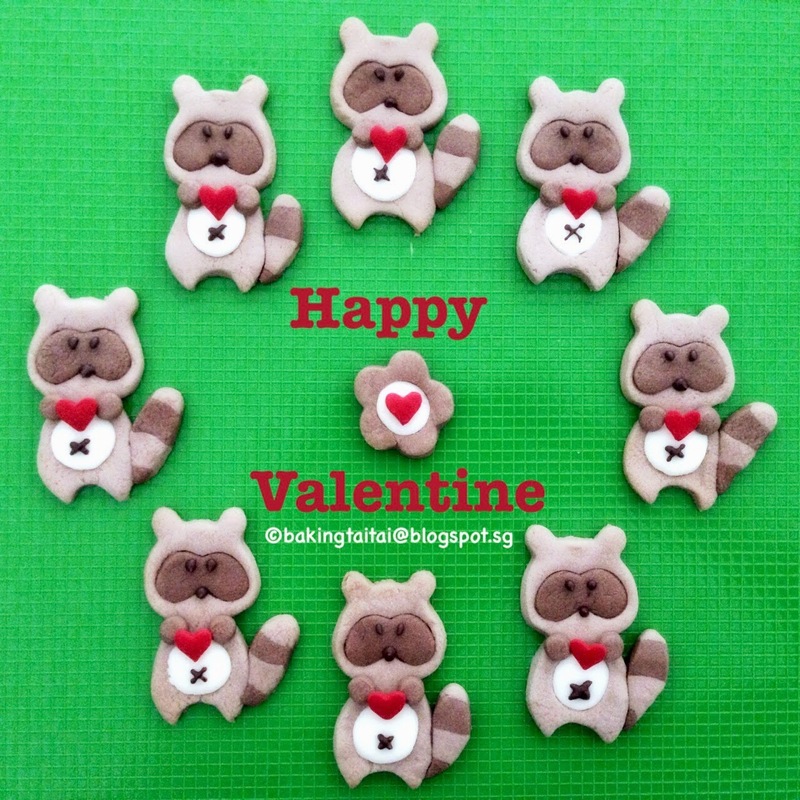 Here's sharing these Racoon cookies which I have baked specially for my dear hubby. The racoon holds a special meaning for me as the first gift I received from my other half during our first date was a stuff toy racoon. (you'll see it on the left in the photo below) Hope these racoon cookies will bring him fond memories of our courtship days. My 2 stuff toy Racoons from hubby which brought me fond memories of our courtship days. 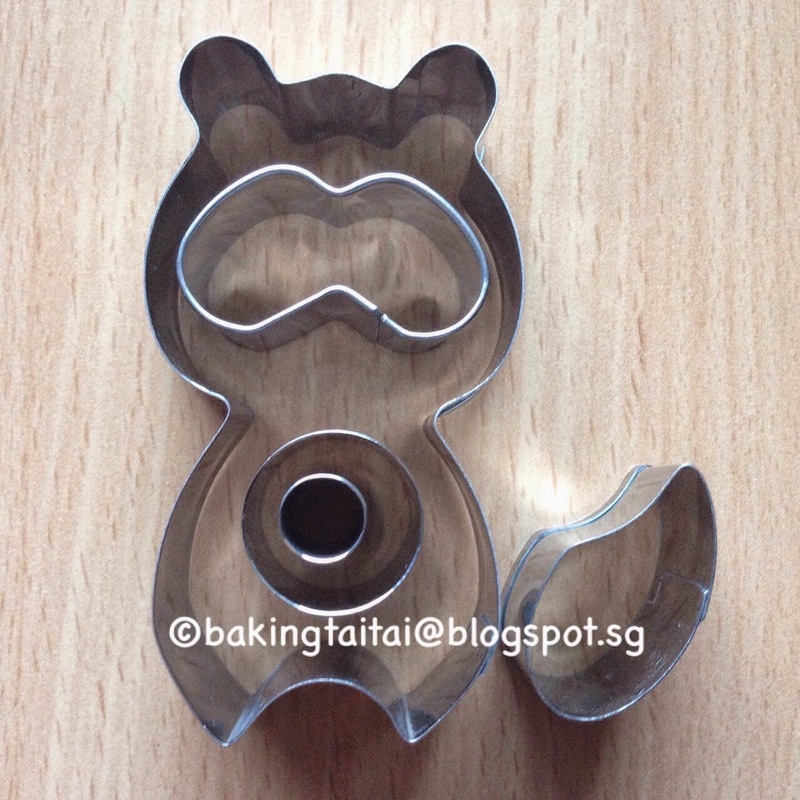 Thanks to my dear friend Annie in Shanghai who bought this racoon cookie mould for me. 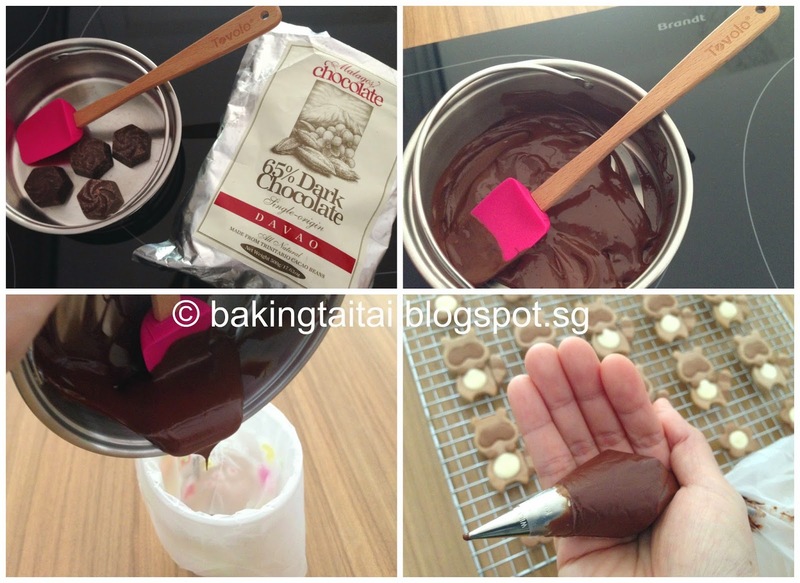 You can also make these cookies for the upcoming Chinese New Year using any cookie mould. As there were some left over dough after cutting out the racoon shapes, I used the flower cookie mould to make some flower cookies below. 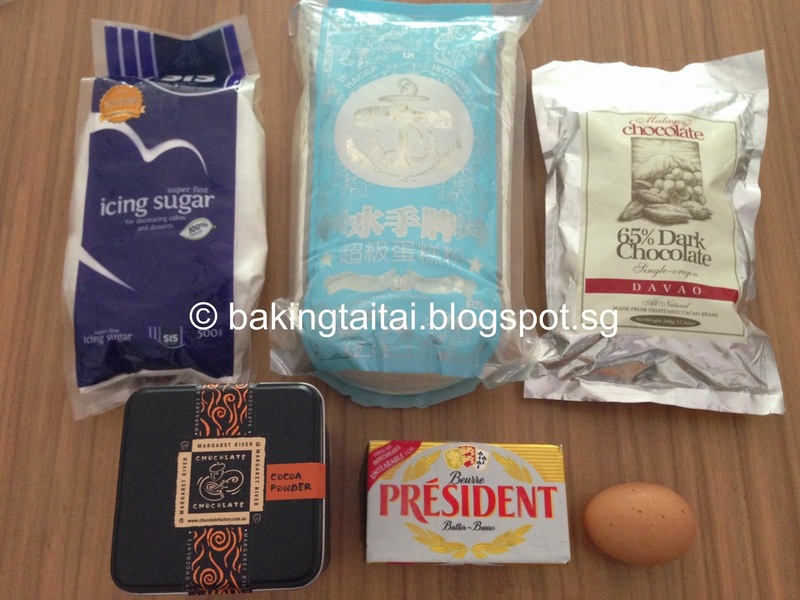 This recipe uses only egg white, thus if you have leftover egg white after making Pineapple Tarts or other bakes, you should give this recipe a try. 1. Soften the butter at room temperature, add in icing sugar and cream till the mixture turns pale and fluffy. 2. Add in the egg white, whip till well mixed. 4. 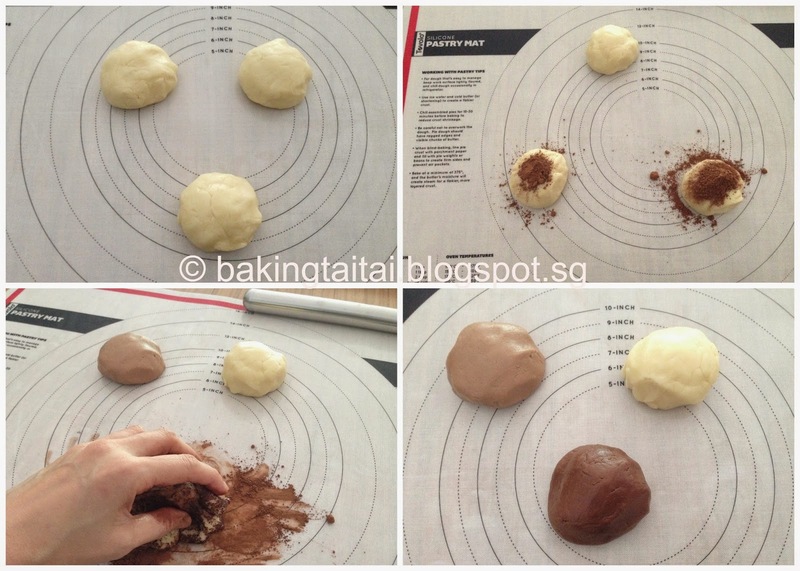 Divide the dough into 3 portions, mix 1/4 teaspoon of cocoa powder to one portion and 3/4 teaspoon of cocoa powder to another portion. 5. 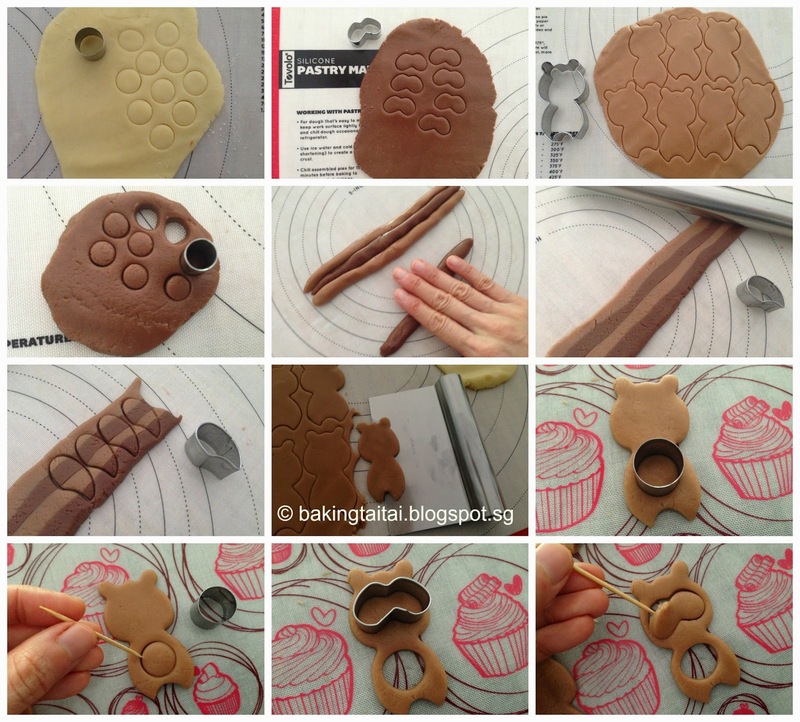 Use the cookie cutter cut out each part accordingly and piece together. I used the remaining dough to cut out some flowers. 6. 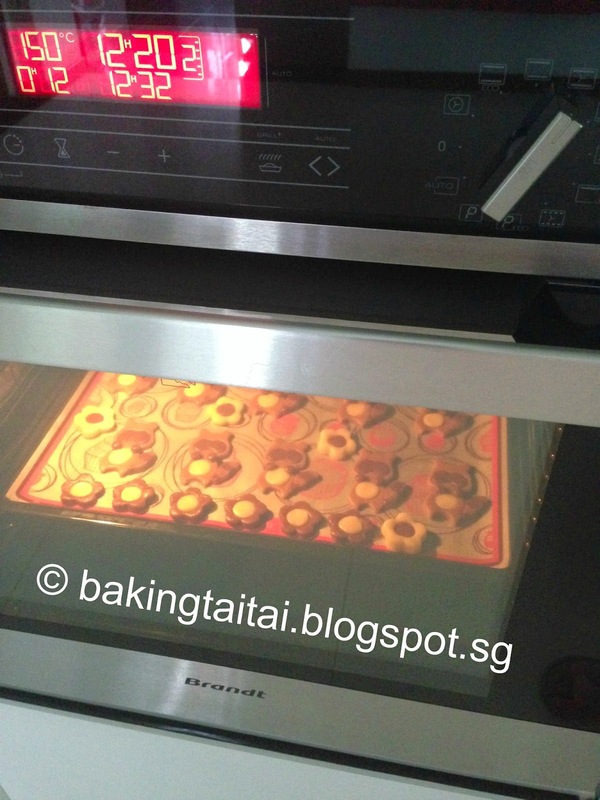 Bake in a preheated oven at 150 degrees Celcius fan forced for 12 minutes. 7. Transfer the cookies to a wiring rack to let cool. Softened butter should yield slightly to gentle pressure. 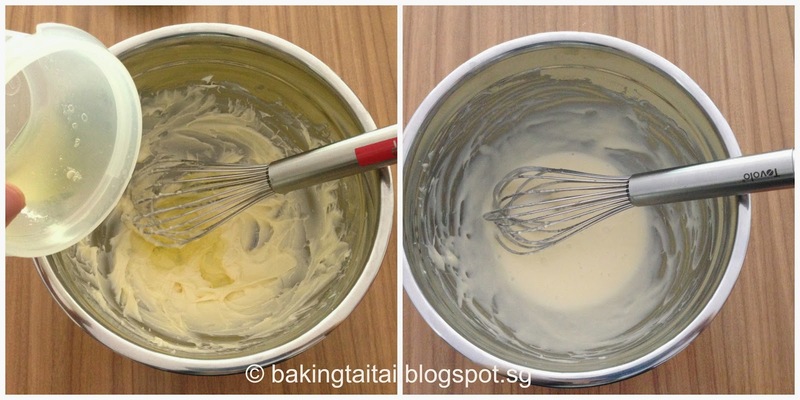 Too soft butter will not cream properly with sugar and it will also affect your baked product. Here's wishing everyone a Happy Valentine's Day! 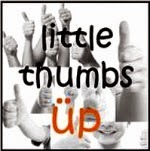 Little Thumbs Up February 2015: Cocoa organised by Zoe of Bake For Happy Kids, Doreen of My Little Favourite D.I.Y, and hosted by Grace of Life Can Be Simple. Happy Valentine's, Sis! 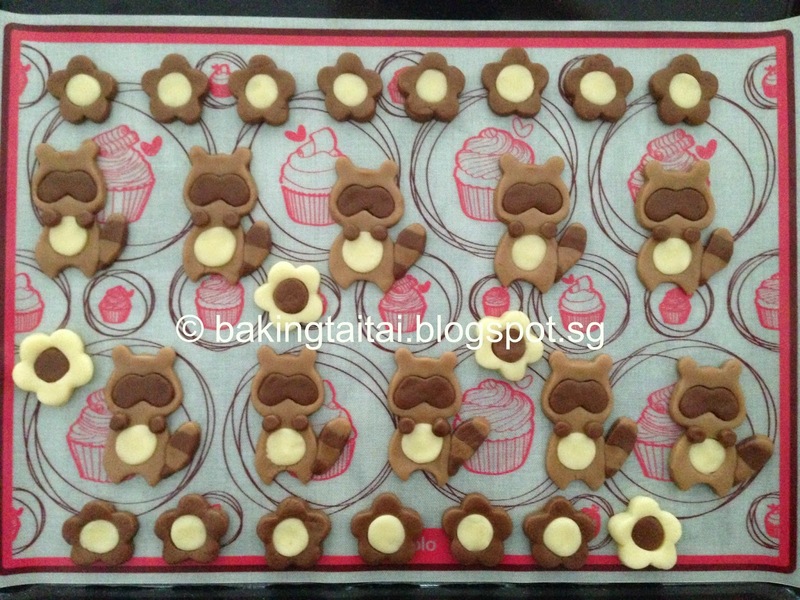 These Racoon cookies are super cute and full of special meaning! Am sure P will love them! Ha ha ! So cute ! 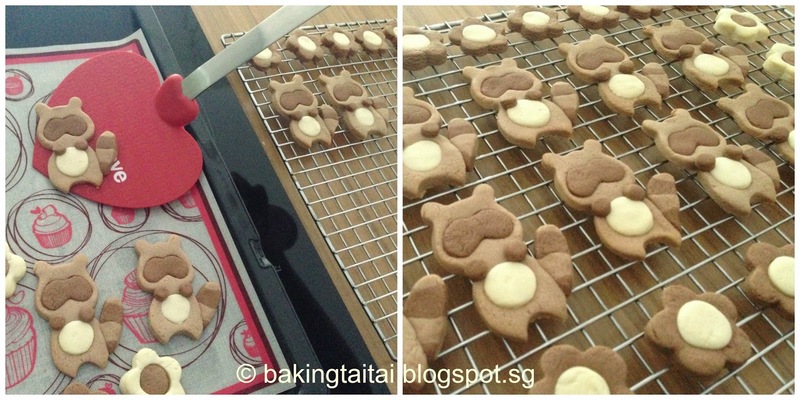 Love these Racoon cookies of yours ^-^! Happy Valentine's Day! Cheryl, Happy Valentine's Day to you! These cookies are adorable. I bought the mold last year but yet to use it. 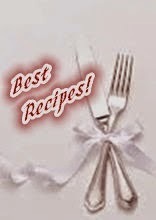 Would like to try your recipe, probably after cny. These cookies are so adorable.